I tried reading this in paperback and struggled to wrap my head around the words used by Stephenson. Having the narrator pronounce them mate it more enjoyable to sit back and be taken on the journey. having the author chime in with the start of chapter definitions from The Dictionary was a great touch. 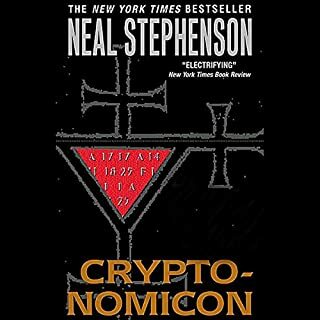 the performance of the narrator was great as I really enjoyed his reading of my NS favourite Cryptonomicon. A truly wonderful story, well read. 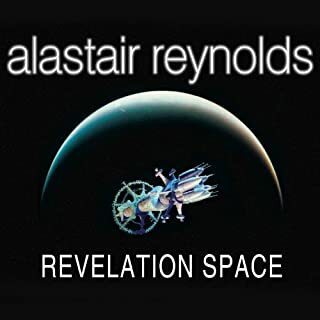 This novel brings together concepts from maths, physics, politics and history, some extremely advanced and even speculative theory, and weaves them into a story that is not just technically amazing, but emotionally compelling. 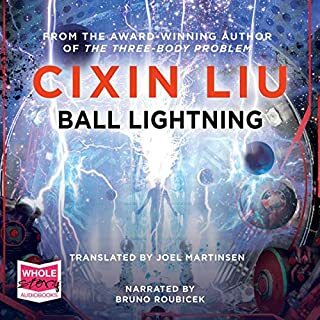 It takes a good while (5+hrs) to get into this book, both due to the challenge of picking up the new language and because in the initial chapters not a lot happens, but it evolves into a compelling tale. It is well read and overall thoroughly enjoyable. 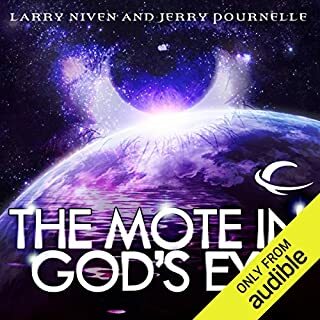 I would recommend for those who enjoy Stephenson's other work, and those who have an interest in science and pondering some of the bigger questions about how the universe works. 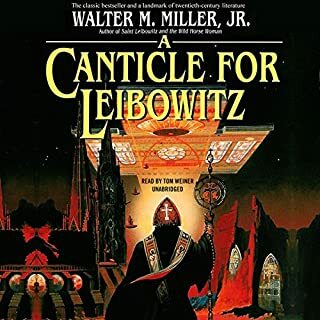 Initially feels reminiscent of the classic Canticle for Leibowitz, but becomes more nuanced and sophisticated with a deeper narrative. Wonderful complex world building engagingly revealed to the reader in a fashion that rewards patience. Especially enjoyed the neologisms. I listened to sections of this over and over again to fully absorb the complexity of some of the concepts. I've discovered more than a single narrative from having done so. 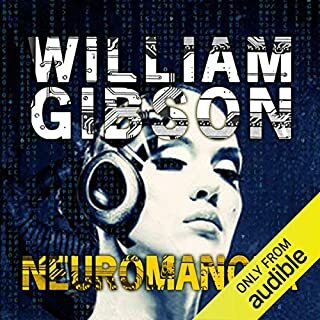 Horrible, I really liked NS's other books but this is unlistenable. I listen to book's for entertainment this is boring and a chore. This novel plays with words and worlds. It is speculative fiction at its best in many ways. I found myself wanting to join the residents of the Concent of Saunt Edhar in dialogue. I never knew exactly which way the story would turn, which is refreshing. Don't let the history at the opening throw you, the rest of the book moves along well. 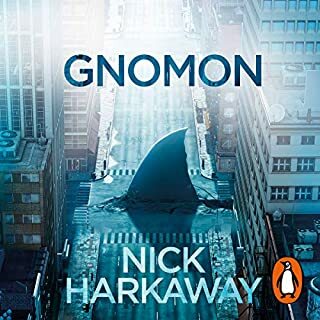 I am deeply wary of a particular aspect of this book which I will call a science fiction plot device (sorry to be cryptic; I do not want to spoil it) but by the end I genuinely bought in to it, which surprised me. I enjoy surprise and learning new things. A novel novel is the cure for literary listlessness. 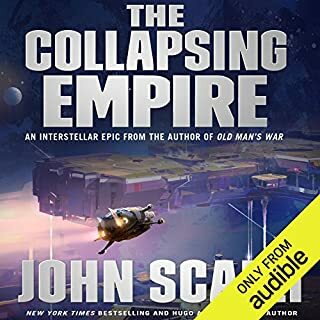 This novel does also have a few of the weaknesses of speculative fiction, such as characterizations weaker than usual (and weaker from what I have seen from Mr. Stephenson previously), and an inconsistent narrative voice. These are quibbles however. I unhesitatingly recommend this work as an engaging venture. Ignore the negative comments about Stephenson's neologisms - they are interesting in themselves and succeed in deepening the sense of a parallel world. Snow Crash was sometimes distracting with its incessant slang but the language here is solidly engaging. Well worth the two credits. I think I've listened to this book a hundred times. It's VERY long and some parts are a little slow but it's very entertaining overall. 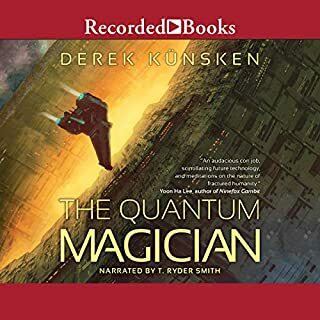 The narration is very good and can keep me interested even when the plot does dip a little bit. This story has a very interesting take on the history of an Earth-like planet regarding the relationship between science and religion (and politics to some extent). There's an interesting mixture of fantastic technology with ancient ritual. The logical debates / conversations are some high points in the story telling.. There is just enough detail and explanation to keep things interesting without bringing things to a halt. Several characters were developed well enough to make me really care what happened to them, which is rare for me. The end gets a little crazy and some friends have said it's a bit too much, but i didn't mind. Be forewarned that the history style timeline layout at the front of the book is fairly long and VERY boring to listen to. You have no idea what the events are that are being described. I think it would be safe to skip it and then listen to it later after you get a feel for the world in which the story takes place. I purchased this book as a recommendation from our friends at This Week in Tech. I found that the selection was kind of slow to start, with all of "The Dictionary, 4th edition, AR 3000" references. Once I got into the story line I found myself listening everyday to and from work, on lunch, and even when I laid down to sleep. The characters become very rich in the way that the narrator inflects his voice and describes the scenery. I found that many times I was almost there with the main character "Fra Eraz-mus". I cringed when he was hurt, laughed when he laughed, and felt a certain "kin-ship" with "Fra's Leo, Arcibalt, Oralow", and even the Millinarian, "Fra Jad". I will consider this book a great purchase for a long time to come. 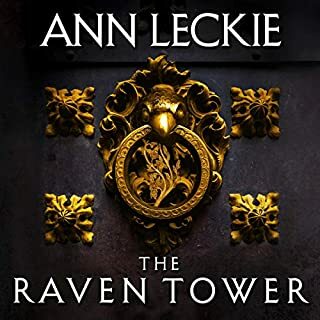 I hate to post a review that is going to seem pretty similar to a few of those that came before me, but I have just finished the audiobook, after reading the novel twice. 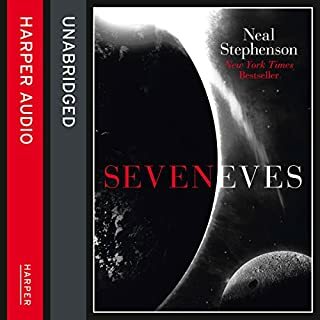 Firstly, I felt more engaged in the story due to the audio version, although usually this is not the case for me, I think this is because I paid more attention to the more technical and philosophical parts of the novel that I was able to skip my eyes over if I felt confused or bored while reading, due to this I have come away with a better understanding of a lot of concepts Neal Stephenson has presented, or I guess RE-presented, due to this audiobook. Secondly, I totally agree with the disappointment of the novel ending. Not that I disliked the ending, but that it *had* to end. I really loved the world, and the characters in the world. I felt attached to them, a fair amount of them, by the end for sure. The audiobook only helped to enforce these feelings. 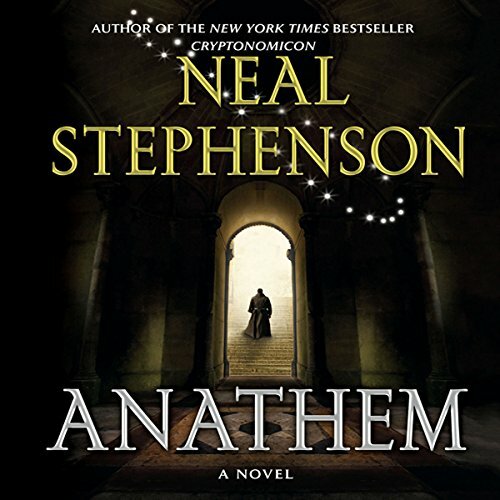 Finally, those who say they are disappointed with the way the story actually ends, this is quite frankly one of the most... complete endings that Neal Stephenson has had to offer. Personally I've liked the way most of his books have ended, but some people just seem to want that neat little tie off. That's usually not how his writing works. This novel had one of the more.. developed endings to his stories. But not so developed that there couldn't possibly be a next novel in this world-track? I don't actually think it will happen.. but I think I'd really like it if it did! I enjoyed the main narrator mostly, although when it came to the character conveying grief or sadness, it seemed a bit off. But it's a minor quibble in such an overall great job. And it was a nice touch to have Neal read a good portion of the 'The Dictionary' quotes. Despite the length, I'm almost tempted to listen all over again, since I enjoy the story as a whole so much. 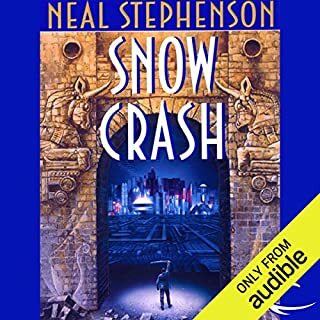 I've listened to "Snow Crash" and "Diamond Age" before this, and despite the weird words thrown in, I'm finding Anathem to be Stephenson's most accessible work that I've ever read (as well as the funniest.) The idea of cloistering the scientists instead of the religious just tickles me, for some reason and Stephenson drops plenty of hints as to why this works best in the world he's creating. If anyone is hesitant to try this due to the criticisms online of the jargon or made-up words, rest easy. Each chapter opens with an entry from the Dictionary, and they usually define any word that is going to have significance in the coming text. Through those entries and "Apert," I feel Stephenson has told me everything I need to know to make sense of the story. As part of the underlying theme appears to be a criticism of our "just Google it" mentality, I don't have a problem with needing to work for some of what I'm reading. 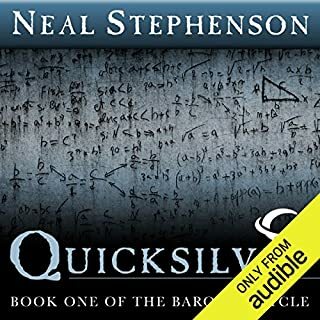 Not only am I looking forward to finishing this book, I'd dearly love for Stephenson to write the story of how that statue got to the Concent of Saunt Edhar--he can't just leave it at being a long and lively tale! 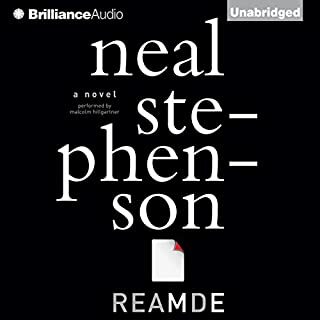 This was my first Neal Stephenson book, but definitely won't be the last. I just finished it and I am just amazed at the story that was told, an entire world was created, and you are taken on a journey of epic proportions. The reading of this book is possibly the best I've ever heard, and I've had an Audible membership for over 5 years. 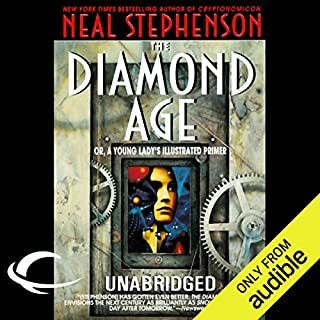 If you like Neal Stephenson you'll love this book. If you don't know him and are interested in speculative fiction - you'll love this book. If you'd rather watch an action movie - stay away from this book. This is a story that causes you to think, speculate and ponder. It will put you in another world and make you feel comfortable there. More than a science fiction story - this is an exploration into the possibilities of now. Before buying this book I read the reviews and realized that the negative reviews were all complaints about vocabulary. Most great novels in this genre have their own language. Orson Scott Card uses roots that should be familiar to those who appreciate words. If as a child you read the dictionary for fun you shouldn't have a problem. I found myself into part 4 before I realized it. The plot and story line are wonderful, exciting and stimulating to this old dreamer. The only complaint comes from my wife trying to get my attention. If you liked his previous books you will love this. I can't wait for more. I loved this book for most of the reasons others have posted, including those who didn't like it. Stephenson writes speculative fiction, but is really a literary genius whose writing transcends the genre. It is heady, full of subtle or not so subtle references to literature, contemporary culture, and innovative ideas concerning consciousness and time. For me, part of the enjoyment in listening were the moments where "i got it". It also pokes fun of religion, but at the same time, recognizes its importance in society. But at the same time, you can't purchase this thinking it is going to be a space opera. The technology is not innovative, and often times involves common items given different names. But that is key to the plot. So if you are buying it for light, action-packed entertainment, then you may be one of those who were disappointed. But if you want to be challenged, this is a great choice. I normally love Neal stephensons books. This one left me wishing it was over! The last 3 hours was incredibly disappointing and there were sections I think I zoned out during! Tremendous frankly. You'll come away with a fresh appreciation for logic and rational thought. 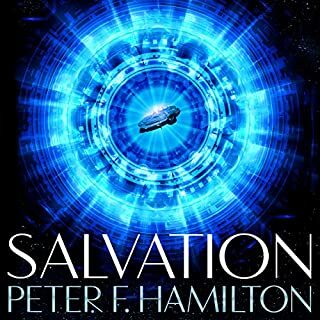 All of that wrapped in a compelling action adventure and scifi wonder! 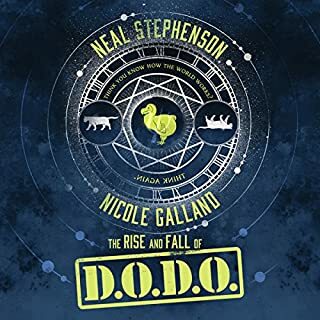 Neal Stephenson has written some of my favourite books. He is a master of describing everything in enormous detail and making it fascinating rather than excruciating. Usually. Not this time. As the book meanders on and on, rather than picking up momentum it becomes a dribble of drivel which is one part plot to twenty parts of pseudo scientific philosophy which I failed to find interesting, amusing or informative. It required an effort of will to listen to the final 90 minutes. At one part near the end one of the characters asks 'what's the pay-off?' which I think pretty much sums it up. Anathema takes a touch of patience, but it more than pays for the investment. A fascinating, engaging, exciting book, with real depth. Got me back into reading after several years off, great to hear the story and the performance is great. Yes, I got a bit confused on who was speaking when at times. I wasn't sure about this to start with. I was looking for some what is now 'old fashioned' science fiction having grown up with the likes of Isaac Asimov and Ray Bradbury. This is the closest I have found. The plot got very complicated at times and I will listen again but I enjoyed it. 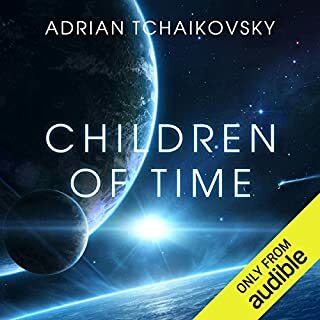 You don't listen to over 30 hours of audio book if you aren't enjoying it. Slow to start but gripping nonetheless. a mastery of philosophical thought and storytelling. This story manages to induce emotion and logical thought in equal measure asking you to further ask more questions about the mysteries inherent in the universe. So much to think about, so much brought together of knowledge and ideas, hypotheses and history. I love the linguistics elements of it too. Not certain about the ending but I don't even care the rest was so good.